When I heard that the Metal Gear Solid HD Collection was going to be released on the Vita, something inside of me stirred. It wasn’t butterflies, it was excitement. Finally, a reason besides for TomB to turn on my 3G #Gamechanger. After close to a month with the game, I’m happy to report that almost everything about it is very well crafted. 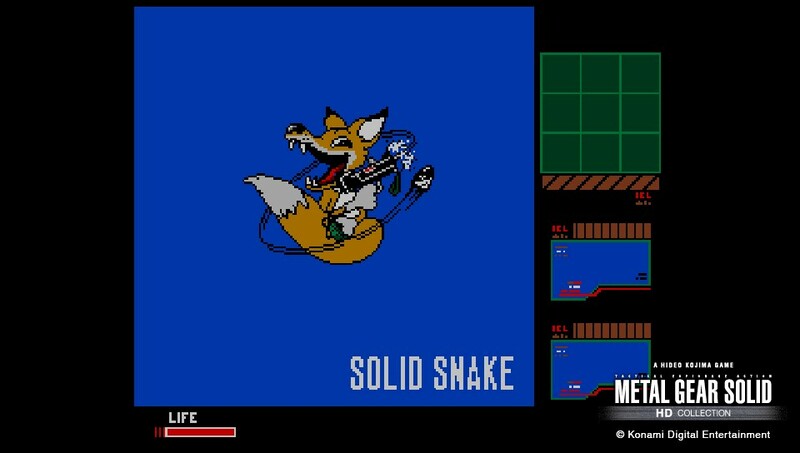 The Metal Gear series of games started way back on a console called MSX. The first game, Metal Gear, was a top-down action adventure title with a big emphasis on stealth. You run around finding items and avoiding guards, all the while figuring out how to further infiltrate Outer Heaven to investigate a weapon known as Metal Gear. You’re typical old-school difficulty is in full force. 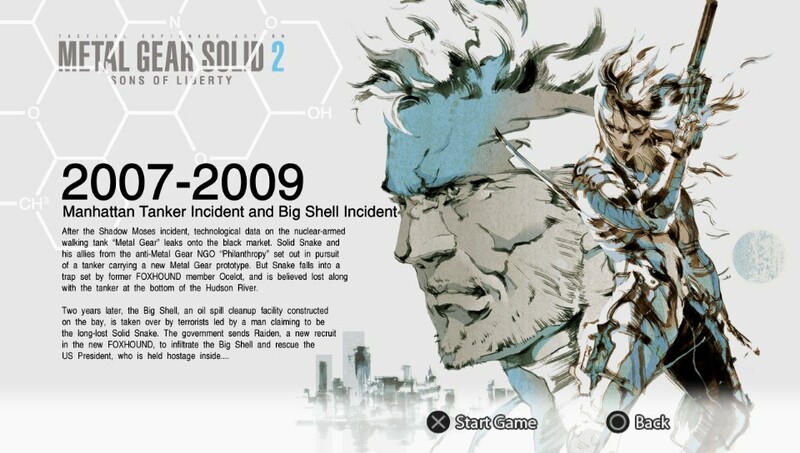 The series continued with Metal Gear 2: Solid Snake, then later the slew of PlayStation Metal Gear Solid games most people are more familiar with. The Metal Gear Solid HD Collection combines most of the highlights of the series into one decently priced package. The Vita version includes Metal Gear Solid 2: Sons of Liberty, Metal Gear Solid 3: Snake Eater, and the two original MSX games. All of the games have gotten the HD treatment, and all of them shine on the PlayStation Vita. 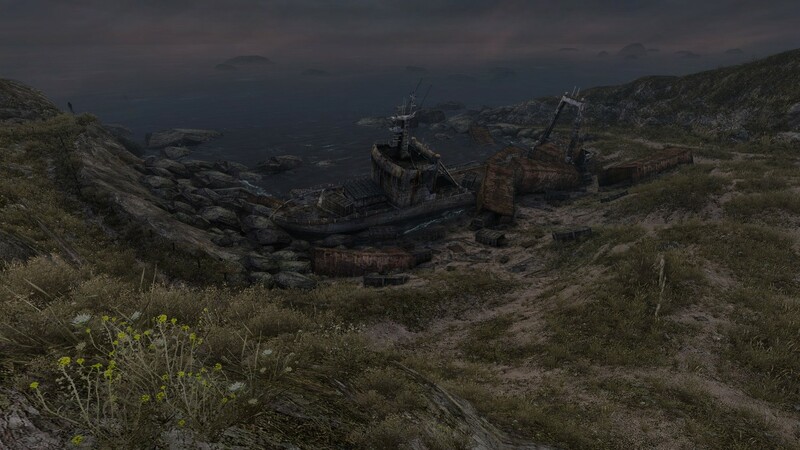 The graphics for Sons of Liberty were impressive when the game came out. 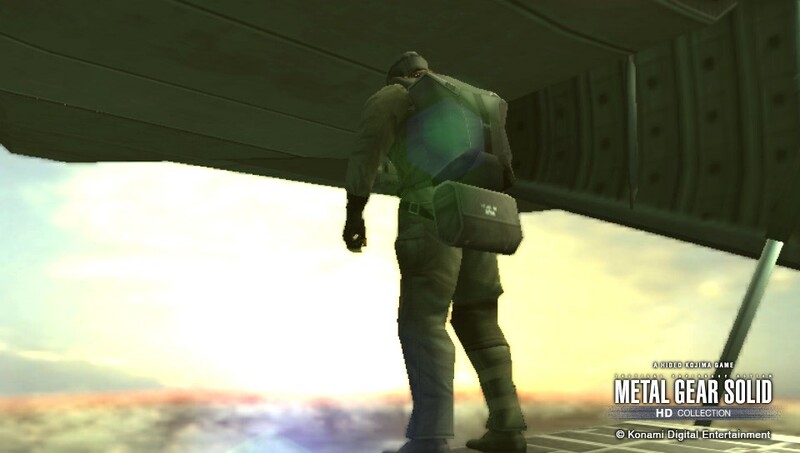 They were leaps and bounds beyond what I had seen in Metal Gear Solid, a game I adored as a youth. I remember being blown away by the fact that I could switch to a first person view and shoot seagulls as they flew around Big Shell. The HD collection sees that the original game’s blurry graphics are sharpened to match the fidelity of recent releases. 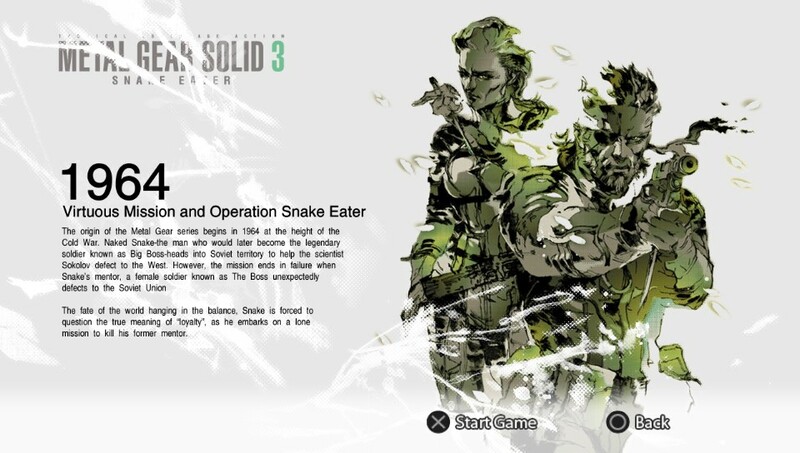 Snake Eater received the same treatment and looks as good, if not better than MGS2. 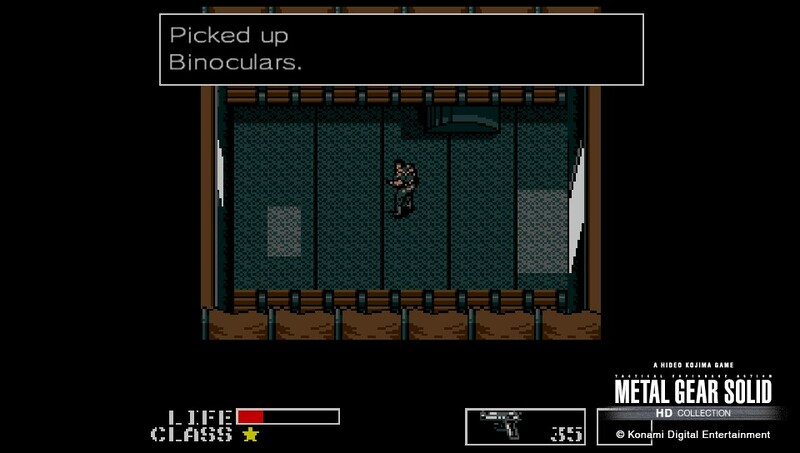 The graphics aren’t the only update to the classic Metal Gear Solid games. Being as how the game is on a new console, it received a few nifty PSV changes. Transfarring. It’s a silly looking word that basically means cloud saving. 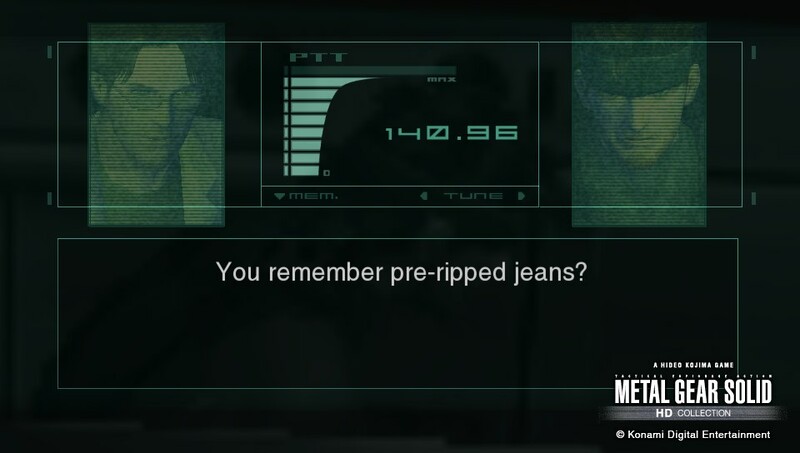 MGS HD Collection has it. This means that you can play the collection on the PS3, save your game to the cloud, then pull it down onto your PSV and keep on trucking where you left off. In addition, you can connect to your PS3 through Wifi and play on the go, but this requires you to have the PS3 version of the game. It also requires you to select the “Listen for a PS Vita” option on your PS3 before leaving your couch. One other note. 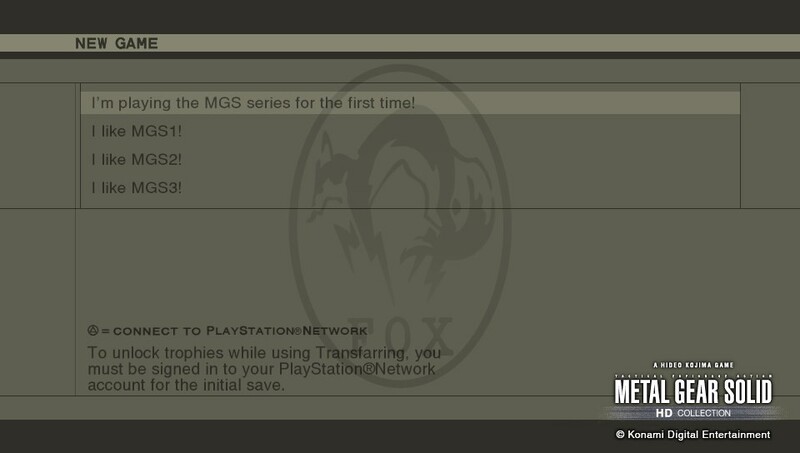 In order to receive trophies in the Vita version of MGS HD Collection, you must be signed into the PlayStation Network when you create your initial save file. The games also feature a few touch screen controls. To change weapons and equipment, press the corresponding grey square and drag your thumb up to the item you wish to equip. It takes a bit of getting used to but it works well given the Vita’s lack of extra buttons. During cutscenes, you can tap the front touch screen in order to zoom in on a certain area. When up against a wall, you can swipe the front touch screen in a direction to peek around the side of it. There are a couple of other touch controls, some of which include swiping or pinching the back touch screen. All of the controls are described in depth in the options menu. The HD Collection features four difficulty levels that make the game easier to play for newcomers or more comfortable to those who enjoy one particular MGS. Along with two very lengthy Metal Gear Solid games (especially if you watch the cutscenes), the MGS HD Collection comes packaged with weighty extras. As I mentioned before, Metal Gear and Metal Gear 2: Solid Snake are included in the collection. More specifically, they’re available through MGS 3: Snake Eater. 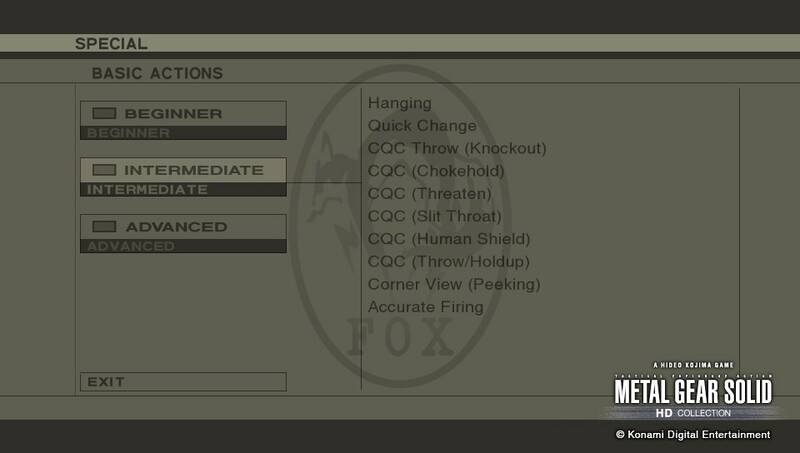 The other extras in MGS3 are scant: a cutscene viewer and some controls explanations. The meatiest of bonus content comes in the form of the VR Missions included with MGS 2. You can choose to play as either Snake or Raiden, each with his own comprehensive set of missions. Sneaking Mode branches into Sneaking and Eliminate All (10 missions each); Weapon Mode branches into 8 different weapons (9 for Raiden with his HF Blade), each with 5 missions; First Person View Mode puts you in Snake’s boots for 5 missions; and the Variety Missions option consists of 7 missions unlocked after completing all of the previous missions. For a full rundown of the VR Missions and how to complete them, check out this video. It’s… comprehensive. So that clocks in at 144 VR Missions, enough gameplay to be a standalone game. To be honest, I consider this ‘extra’ to be the most important part of the Vita version. The Metal Gear Solid HD Collection lacks a few things. For starters, it’s missing Metal Gear Solid, the very game that got me into the series in the first place. It’s also missing MGS: Peace Walker HD, which is included in the PS3 version of the Collection. The final flaw of the Vita version, in my opinion, is that the Metal Gear Solid games aren’t necessarily portable-friendly. 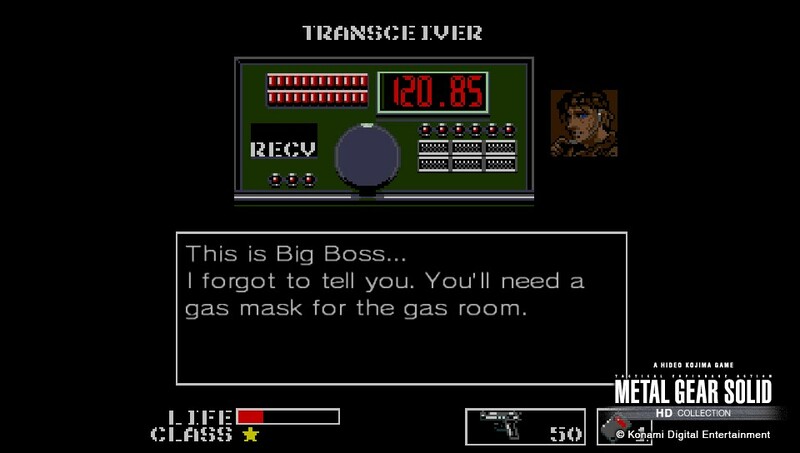 I played through MGS: Portable Ops and enjoyed it, and I hear great things about Peace Walker, but I didn’t have the enthusiasm to start up Snake Eater on a road trip down to North Carolina. These are games that require a serious time investment and are best enjoyed by getting into the story. You’re not going to get much out of the games by playing them in short bursts. If you were to skip through the codec calls, for example, you would be missing some of the quirky gems that make this series what it is. 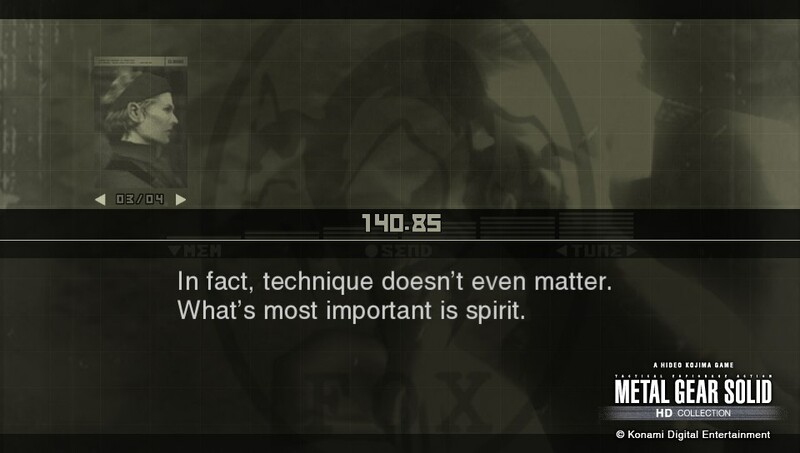 The ability to save at any time or turn off the Vita and pick up and play at a later time is a welcome feature, but when I play Metal Gear Solid, I prefer doing so for elongated periods, which is almost the opposite of what portable gaming is. Other than that, though, the HD Collection offers four of the best Tactical Espionage Action games at a more than reasonable price. Whether sniping birds on Big Shell or filleting snakes during the Virtuous Mission, MGS HD looks and plays great, just like you remember. A copy of this game was provided by the publisher for review purposes. For more info on our review policy click here. This review is for the PlayStation Vita version of the game.